You should always have confidence in your vehicle’s performance! Your daily commute is the most important traveling schedule that you have. When you begin your daily schedule every morning, the last thing you should be worrying about is the ignition. But what if the engine doesn’t turn over? Or what if your tire has a slow leak? Or what if you notice the transmission keeps dropping out of gear? Rick’s Auto Repair in Marcus Hooks, PA handles all that and much more. We’re a team of ASE Certified techs that have been serving this community with quality auto service since 1989. Your trust is what we’re after, and we go above and beyond to earn every bit of it! Preventative maintenance is the key to avoiding costly repairs. You stay ahead of breakdowns by letting our experts perform services according to a specific service plan. We don’t treat your vehicle like every other vehicle in our garage. You and your vehicle are unique and so are your driving habits and needs. 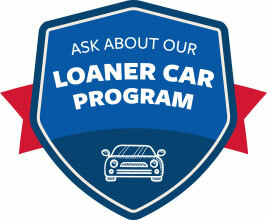 Come share with us your vehicle’s purpose, and we’ll let you know exactly how your services should be handled. When you drive to our facility, you can trust that your vehicle will be leaving in better condition than when it arrived. We perform clean and consistent oil changes, timely tune-ups, lube services, computer diagnostics, pre-purchase inspections, and much more. When you bring your vehicle to our shop on a regular schedule, you ensure your vehicle’s longevity and retain its resale value. Accurate Engine Diagnostics–Repairs Done Right the First Time! Our team uses the latest technologies to find out exactly what’s causing that malfunction. You don’t have to worry about our diagnosis because it’s always correct and necessary for the safety of you and your passengers. There’s not a piece of your vehicle that we don’t have experience and training to fix. Your check engine light may be a mystery to you, but our state-of-the-art service equipment helps us pinpoint any problem. That’s half the battle, finding out the root cause of the issue. Our team has the experience, training, and equipment to handle complete engine repairs, automatic and manual transmission services, new and rebuilt transmissions, brake repairs, exhaust system repairs, air conditioning repairs, PA State Inspection and Emissions Testing services, and more. We’re here to make sure you stay off the side of the road. Performance problems always seem to catch us off guard. Whenever that happens, it’s a great feeling knowing that you have a mechanic that you can trust. Marcus Hooks drivers have been depending on our expertise for decades and we look forward to adding you to the list of satisfied customers. Your complete satisfaction is just a byproduct of our focus on your safety and our extreme attention to detail. 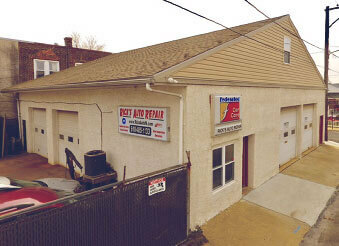 Give us a call today at 610-485-1133 to schedule your next auto service appointment. Bring us any questions or concerns and we’ll give you the best service solution. Save some time by using our online scheduling system! Next time you’re in the area, feel free to stop on by. We gladly accept our walk-ins!